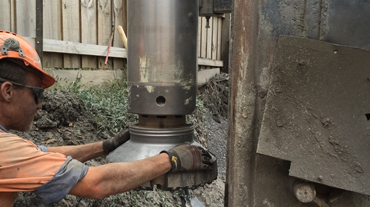 Southern Piling has the equipment and expertise to drill piles in all kinds of ground conditions. Drilled piles are a safe and reliable pile type in most ground conditions, Offering Vibration free instalation they can be a great option in highly built up areas. A wide range of auger drives for excavators ranging from 3t to 30t including long reach excavators for difficult access jobs. Large diameter Down hole hammers and bits 450mm and 600mm for rapid drilling of holes in very hard rock. CFA piles are used when piles are required in fround that will collapse wehn drilled. 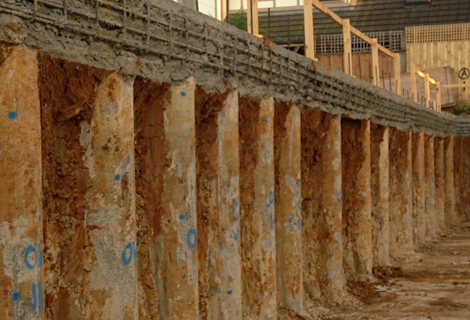 CFA piles can also be used for piles that extend into the ground water table. Southern Piling works has data logging equipment fitted to their CFA piling rig to ensure a quality pile has been constructed. Bored piers are a cost effective drilled pile type. Bored piers can be drilled in many ground conditions. 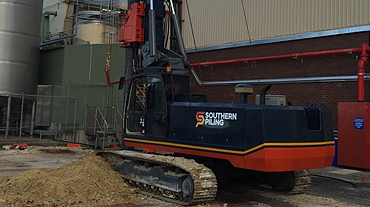 SOuthern Piling has the equipment to drill large diameter bored piers (up to 1800mm) and deep bored piers upt to 40m. Southern Piling can even drill these large diameter holes into rock. 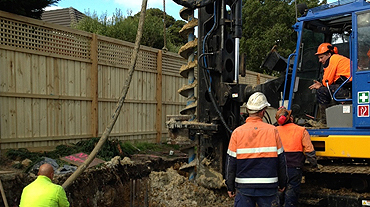 Southern piling are experts at rock drilling with alot of experience in drilling techniques and tooling for rock drilling.